Radio is a medium of seemingly endless contradictions. Now in its third century of existence, the technology still seems startling modern; despite frequent predictions of its demise, radio continues to evolve and flourish in the age of the internet and social media. This book explores the history of the radio, describing its technological, political and social evolution, and how it emerged from Victorian experimental laboratories to become a near-ubiquitous presence in our lives. 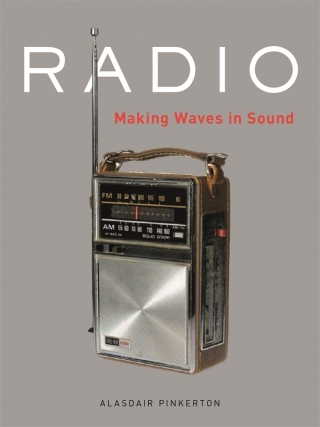 The book is shaped by radio’s multiple characters and characteristics – radio waves occur in nature, but have been harnessed and moulded by human beings to bridge oceans and reconfigure our experience of space and time. This is an informative and thought-provoking book for all enthusiasts of an old technology that still has the capacity to enthuse, entertain, entice and enrage today. Alasdair Pinkerton is a Senior Lecturer in Geography and Geopolitics at Royal Holloway, University of London. He is an avid radio listener and has battled to detect shortwave signals from around the world.